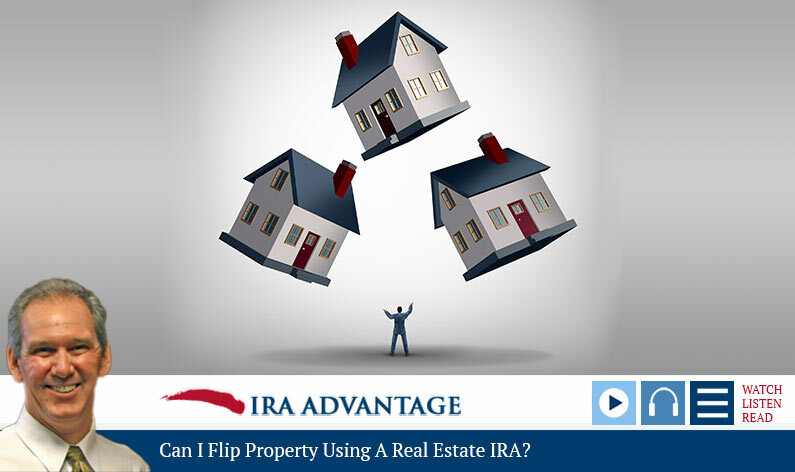 If you’re interested in flipping a property and you have questions about using a real estate IRA for the transaction, David Moore, with IRA Advantage, has the answers. There’s an important distinction between investing and dealing in the eyes of the IRS. David, can you flip property using a real estate IRA? David: Great question, and it’s something that I’m sure we’ve all heard of through ads on the radio or TV about people flipping properties, “Sign up for this seminar,” so on and so forth. And the answer is yes, you can. But you’ve got to be careful because at some point, you cross the line between being an investor and being a dealer. The government doesn’t want tax-privileged money competing unfairly with taxed money, so if you pull money out of your pocket and go buy something, flip that property, you’re looking at normal income tax on that situation. If you use a retirement account to do that same thing, you might be able to do it once or twice, but at some point, you’re going to have a tax problem because you’re not holding the property for investment. You’re holding it for resale and you’re going to be subject to something called UBTI, unrelated business taxable income. David: So that’s sort of the bottom line, it’s up to the taxpayer and their tax counsel to draw that line. But at some point, you do transition from being an investor to a dealer, and when you do that, even if you had Roth IRA money, you’re going to be subject to that UBTI. When you’re thinking of IRA Investing in Real Estate, how do you start? David: Well, if you’re talking about retirement accounts, buying real estate is really going to be a question of what level activity you’re going to be exercising in this. How frequently are you going to be making investments? Are you going to manage the asset? Is it a time- sensitive investment? Let’s say you want to buy dirt and sit on it for five years. That’s a passive investment. 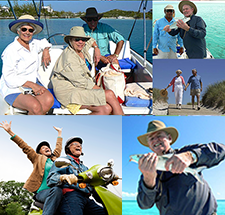 A basic self-directed IRA will take care of you, and to do that, we’re just going to establish this by moving from a custodian that won’t allow you to make that investment to one that does. David: You’ve heard me say this before: a self-directed IRA is not a legally defined term. It’s just a term that describes an account that allows you to do what you want to do. On the other hand, if you’re going to go out and you want to manage a single family rental house, you’re going to need something called a checkbook IRA. And in a nutshell, what happens there is the custodian’s making a single investment, the membership interest in a limited liability company that the taxpayer’s the manager of. So it’s very easy, as manager of an LLC, to negotiate the purchase in an LLC’s name, write a check for the earnest money, write a check for the down payment, write a check to pay the plumber if the pipes break, so on and so forth. And that gives the taxpayer much more liquid investment, something they can buy and sell what they want, as they want, with very limited restriction.